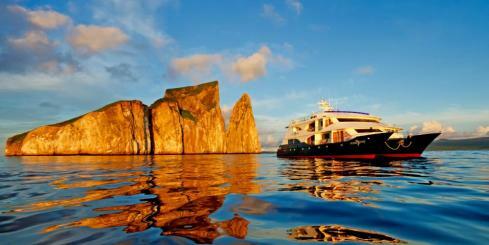 Our Galapagos Experts have hand-picked the best small ships, yachts, and boats that sail the Galapagos Islands. 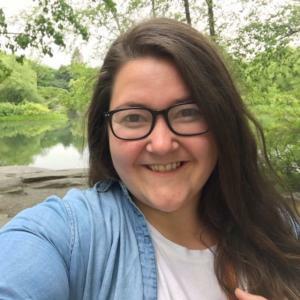 They have been chosen due to having superior levels of service, the best guides, excellent itineraries, comfortable accommodation, and excellent value. 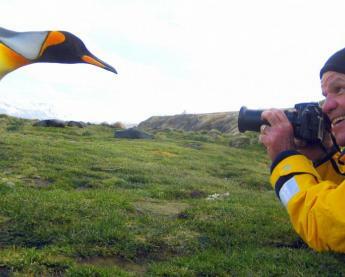 Small cruise ships carry up to a maximum 100 passengers in Galapagos and small boats carry as few as 12 for a more intimate, personalized experience.Luxury cruises have the best naturalist guides, cuisine and onboard accommodations, and many experts proclaim that a small luxury class catamaran is the ultimate way to sail the Galapagos. 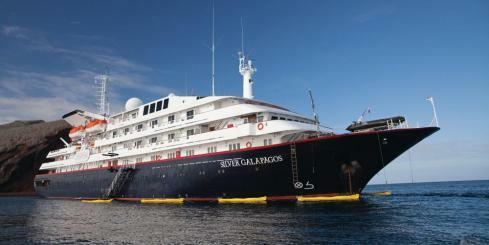 Economical Galapagos cruises enable you to see the Galapagos for a fraction of the cost. 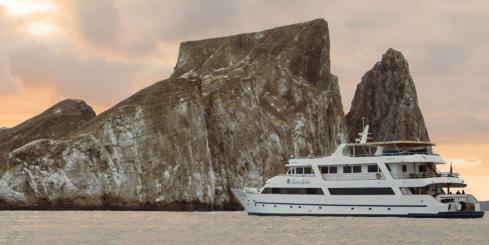 Contact one of our Galapagos experts for help selecting the boat or small ship that is perfect for your needs. 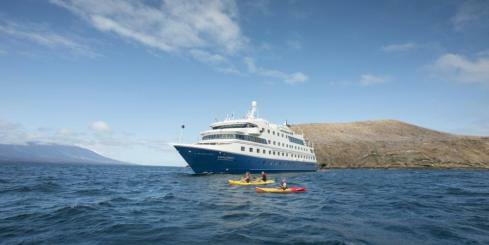 Ocean Spray offers the best performance and comfort for a Galapagos cruise. 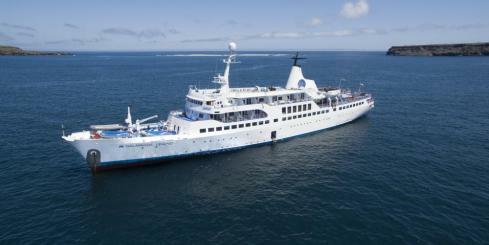 With an elegant design, the Ocean Spray carries 16 guests on luxurious Galapagos cruises of 4, 6, 8 and 15-days. 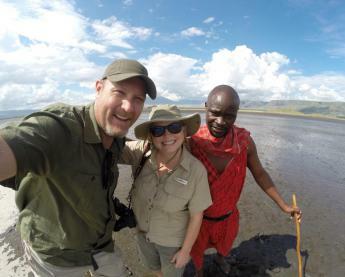 The Origin & Theory combines modern sophistication and a high level of comfort and service, with quality guided land excursions in small groups, gastronomical experiences, physical activities and science lectures. 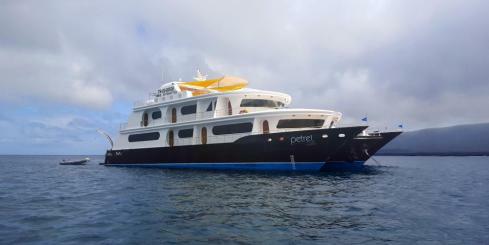 Travel in comfort aboard the Petrel. Offering first-class luxury cruises, the 16-passenger motorized catamaran is outfitted with spacious cabins, a comfortable lounge, and Jacuzzi, and excellent guides with intimate knowledge of the natural history and wildlife of Galapagos. Combining luxury, privacy and comfort in the marvelous setting of the Galapagos Islands, the Sea Star Journey sails the Galapagos archipelago in style. 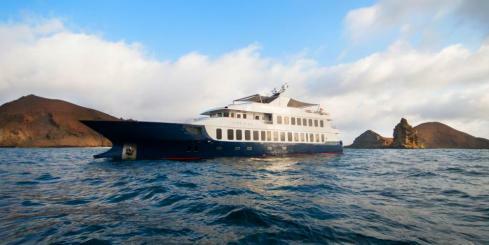 Accommodating 16 passengers in spacious suite cabins, explore the Galapagos in comfort. Cruise the Galapagos Islands aboard the M/C Endemic, a glamorous catamaran that provides guests the style and comfort they need to have an adventure of a lifetime! The outer design is sleek, streamlined and attractive: the gentle curves of the hull and decks of the Endemic mimic the unique Galapagos ecosystem. 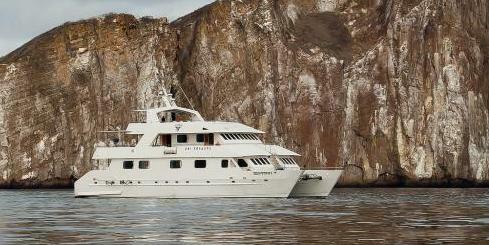 The Seaman Journey is a first class catamaran offering luxurious cruises of the Galapagos. With superior comfort, style and stability, her 16 guests will enjoy the numerous on board amenities in addition to the exploration of these islands. 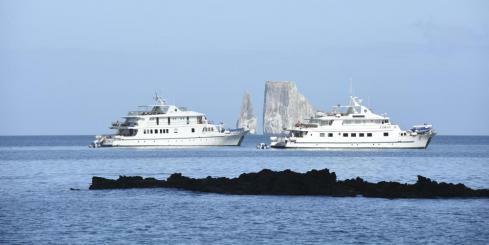 These twin motor yachts will take you on an authentic Galapagos adventure in comfort and style. 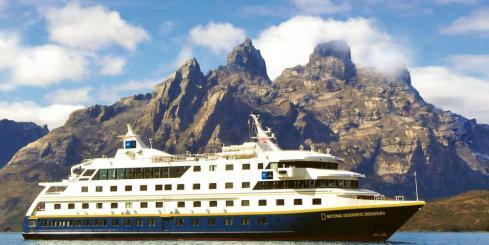 Panoramic windows, a sun deck, and a shadow deck allow you to experience the Islands in the most intimate way possible. Guests enjoy air- conditioned cabins with private bathrooms. 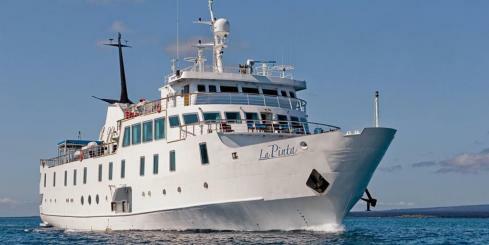 With four decks, this cruise ship is one of the biggest boats in the Galapagos, offering plenty of amenities and features onboard, but still managing to balance that with a feeling of intimacy and proximity to the natural charms of the Islands. Guests enjoy a casual atmosphere, with only the highest standards of comfort and service. Step aboard one of the biggest & nicest expedition ships in the Galapagos, complete with Jacuzzi, exercise room, & various comfortable social areas. All 48 guests will feel right at home with private bathrooms & central air conditioning in all of the cabins. 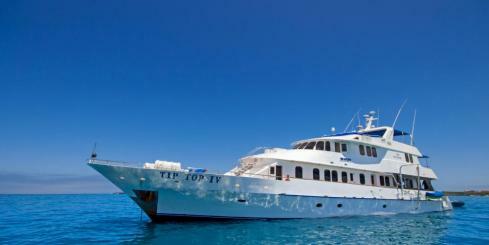 It even has a glass bottom boat, as an alternative way to witness the stunning marine life. 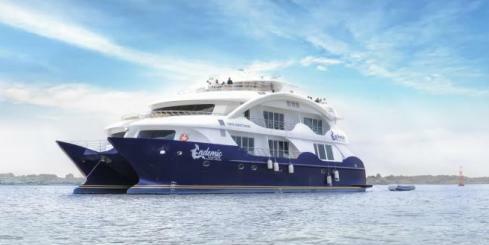 Currently under construction, the Galapagos Elite is scheduled to take to the sea in Summer 2019. When the Elite reaches the azure waters of the Galapagos Islands as the newest yacht in the islands, it will reinvent luxury, comfort and class! Combining luxury, amenities, and many social areas, the recently remodeled 90-passenger Santa Cruz II reigns in the Galapagos as one of the most comfortable large cruise ships in the archipelago. Featuring all new a fitness room, gift shop, al fresco BBQ area, restaurant, bar, & lounge, as well as other social areas to get to know your fellow passengers. 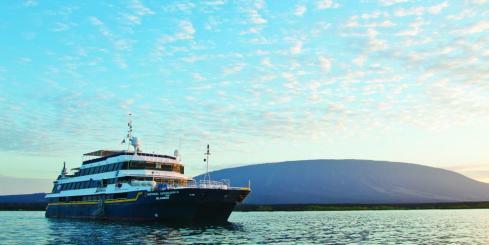 The M/T Camila offers the best performance and comfort for a Galapagos cruise. 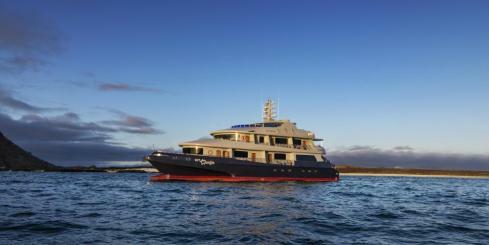 With an elegant design, the Camila carries 16 guests on luxurious Galapagos cruises of 4, 5 and 8. The Solaris is a spacious 114.8 feet long yacht that will take you across one of the most stunning archipelagos on Earth! the 16 passenger ship was built to fulfill your expectations of comfort, safety and service, and her guests will enjoy it. 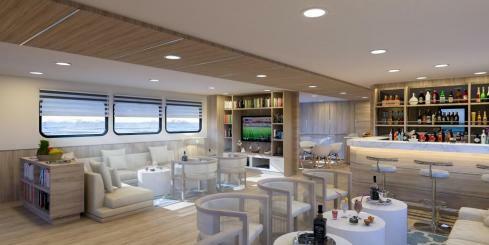 The luxury Islander is fully air-conditioned with a comfortable lounge and 24 outside cabins. 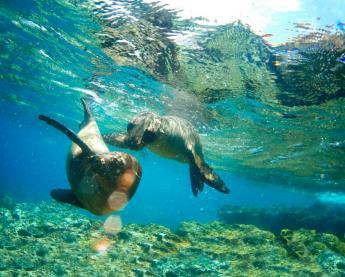 The Silver Galapagos will take you to one of the most isolated places in the world to encounter an abundant variety of wildlife species that are incredibly unique and found nowhere else on earth. 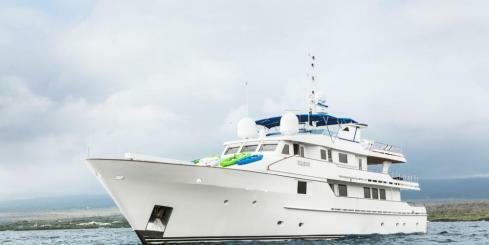 Embark the Stella Maris, a 12-passenger charter-only luxury motor yacht, for a grand private cruise experience in the Galapagos Islands.